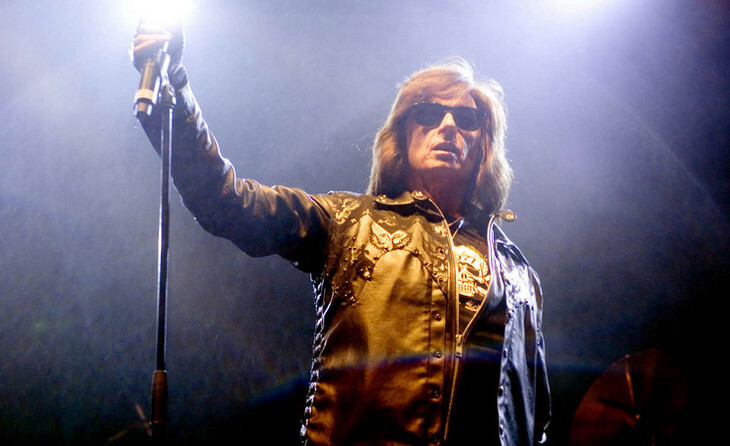 Joe Lynn Turner has canceled his previously announced tour dates for the next few months while he recovers from the apparent heart attack he suffered last Friday.The news of the singer’s break from touring was revealed by his Finnish booking agent, Thomas Ståhl of Stahl Entertainment, who said in a statement: "Due to an unplanned medical procedure, Joe Lynn Turner is postponing all activities for the next few months as he is not allowed to travel or fly right now. We are working on rescheduling all club shows and will announce new dates as soon as possible, bought tickets is valid. We sincerely apologize for any inconvenience this may cause. No fear, only love and positive thoughts! "The former RAINBOW and DEEP PURPLE frontman’s hospitalization was first reported by the Russian state news agency RIA Novosti, which quoted the press service of the Ministry of Health of Belarus as saying that the singer’s condition was "stable" after he was treated at a Minsk facility for "myocardial infarction," commonly known as a heart attack. Turner’s presence at the hospital was also reported by Belarus’s most influential daily newspaper, the state-owned SB Belarus Segodnya.According to the Russian news agency TASS, a spokeswoman for the Ministry of Health of Belarus said that Turner was transported by ambulance to the hospital and that he will continue to receive treatment at the facility.Joe was the frontman of RAINBOW between 1980 and 1984 and he sang on the album "Difficult To Cure", which featured the band’s most successful U.K. single, "I Surrender".During Turner’s time with RAINBOW, the band had its first USA chart success and recorded songs that helped define the melodic rock genre.1990 saw Turner reunited with RAINBOW leader Ritchie Blackmore in a reformed DEEP PURPLE for the "Slaves And Masters" album.The 66-year-old singer is married to Maya Kozyreva, a lawyer from Minsk.